Why utilize the aggregate demand-aggregate supply model to analyze the economy? This may be the most important module in the principles of macroeconomics course. The module introduces the key macroeconomic model, the aggregate demand-aggregate supply model, that will be used in nearly every module that follows. Studying this module will be like learning how to cut and join wood for a carpenter, learning how to work with pipes for a plumber, or learning how to write code for a programmer. In short, this is what macroeconomics is all about: using a model model, like AD-AS, to analyze issues and problems in the macro economy. The effort you put into learning this module will be time well spent. The AD-AS model shows how spending in the economy (AD) interacts with production (AS) to determine the aggregate price level and the level of real GDP. The model works like an ordinary market demand and supply model, but you will see that the way it is interpreted is quite different. 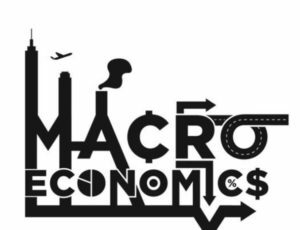 What does the macro economy look like in the short run? What does it look like over the long run? What determines the amount of total spending in the economy? What determines the amount of real GDP? How do the level of GDP and the price level respond to shocks (i.e., changes) in aggregate demand or aggregate supply? How do these answers differ in the short run versus the long run?